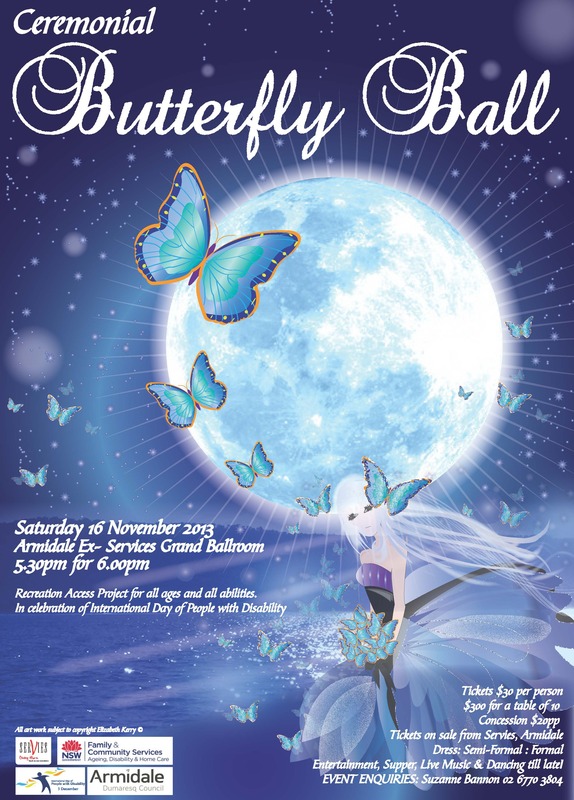 The Armidale Recreation Access Program organised a “Butterfly Ball” to represent the “Celebration of the International Day of People with a Disability”. ​ The main aim of the Recreation Access Program is to assist people with disabilities aged 16 to 65 years to participate in recreation ad leisure activities of their choice. 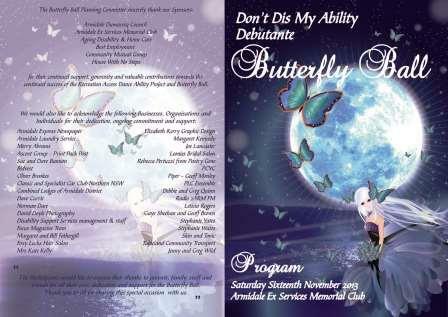 I was fortunate to work with the Armidale Recreation Access Program who organised a “Butterfly Ball” to celebrate the “International Day of People with a Disability” in the Armidale area. The Committee asked for a poster design to advertise a Ceremonial Debutante Ball. The poster needed to suit shop windows (A4 size) and larger size posters.